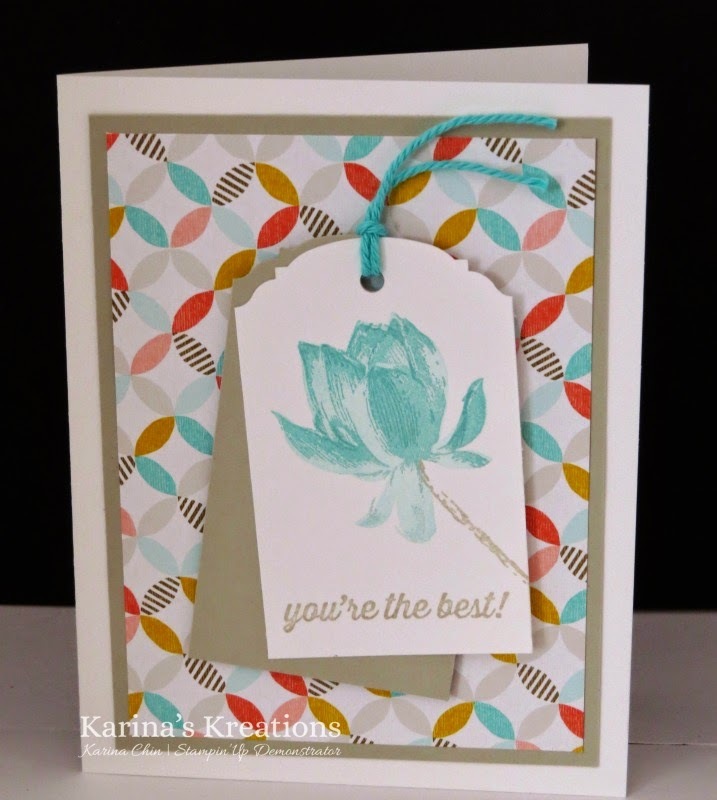 Karina's Kreations: Lotus Blossom Sneak Peak! I have another sneak peak to share with you using the Lotus Blossom, The Simply Wonderful and Best Year Ever Designer Series Paper Sale-a-bration items. To make this card you need the Ornate Tag Topper Punch #137416 and Costal Cabana Thick Baker's Twine # 135638 too. I used Sahara Sand, and Costal Cabana ink on my card! To request your Sale-a-bration catalog, email me at kchin2@telus.net.